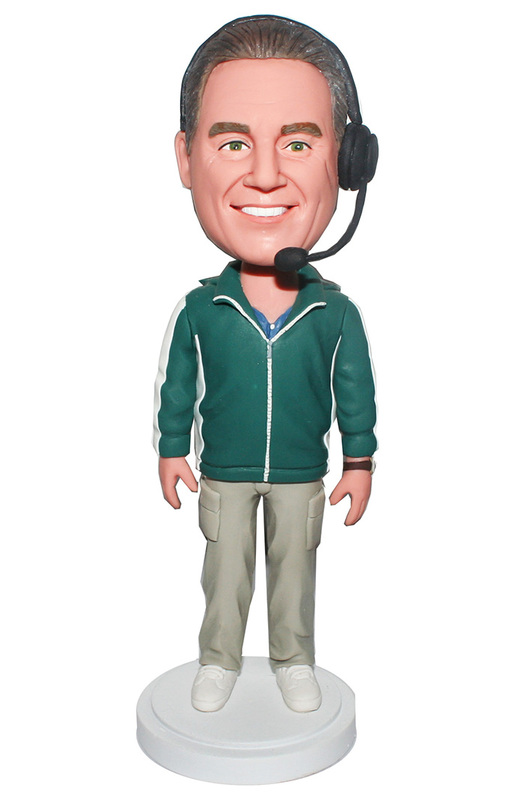 Featured a green jacket with khaki pants, a headset on his head, this custom bobblehead is a referee. 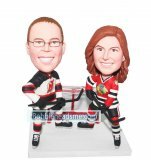 Customized sport bobbleheads that present the essence of being a real fan. He/she likes Basketball? Football? Baseball? Soccer? Ice hockey? 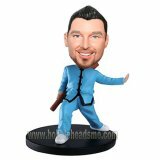 In our website you can find a great deal of customizable bobbleheads for all types of sports. Imagine his/her elegant pose and the winning expression when he/she plays the game. Pick the model perfectly fits him/her movement, upload the clear photo. Just a few clicks to go, then our artists will carefully sculpt the characteristics to make him/her into a professional.